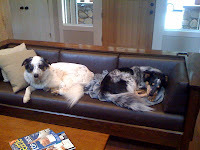 I'm working on a commission of two crazy Australian Shepherds. 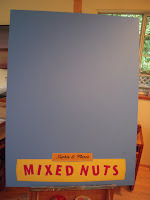 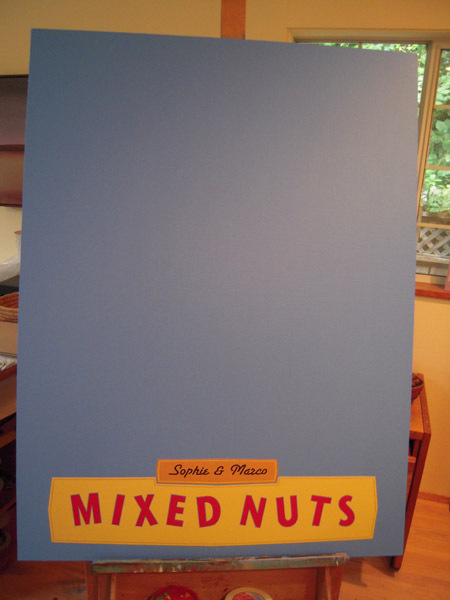 The product tie in is MIXED NUTS and I've finished the logo part of the painting. The dogs' names are Sophie and Marco.